The nine-member Roman Catholic Commission of theologians at the Congregation for the Causes of Saints have given their unanimously positive vote to finding that Archbishop Oscar Romero was murdered “in hatred of the faith,” i.e., he was a martyr. If this finding obtains those additional approvals, Romero can be beatified without a finding that a miracle happened through his posthumous intervention. 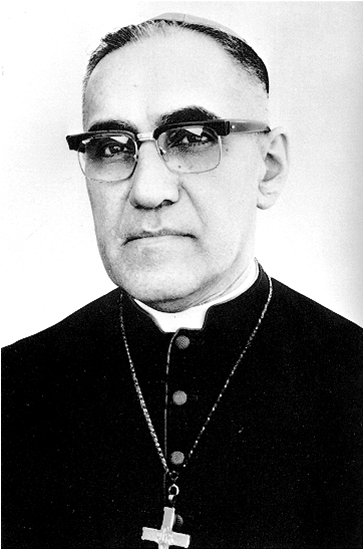 After beatification, Romero will be a candidate for sainthood, for which a finding of a miracle is necessary. As a Protestant Christian for whom Romero already is a saint, I am pleased with this development. This post is based upon Vatican theologians recognize Romero as a martyr, Super Martyrio (Jan. 8, 2015); Winfield, Slain Salvadoran archbishop closer to beatification, Portland Press-Herald (Jan. 10, 2015). This blog has a number of posts about Oscar Romero and his possible beatification.